The second (out of four) article of my thesis is finally published! It is titled ”Still the same? – Self-identity dilemmas when living with post-stroke aphasia in a digitalised society” and it is based on interviews and online observations of nine individuals with post-stroke aphasia. The first article, which is about stigma management in the same individuals, was published in 2017. So, what’s my PhD project about, anyway? When people ask me what my project is about, I usually answer ”aphasia” and we end up in a discussion (or sometimes more of a lecture from my part, to be honest) about what aphasia is and is not. But, what is my project about, more specifically? Now that I have a year and a half left to the finish line, I am starting to have an answer to that question. My project is about identity construction when living with aphasia in a digital society, and it is based on four studies. 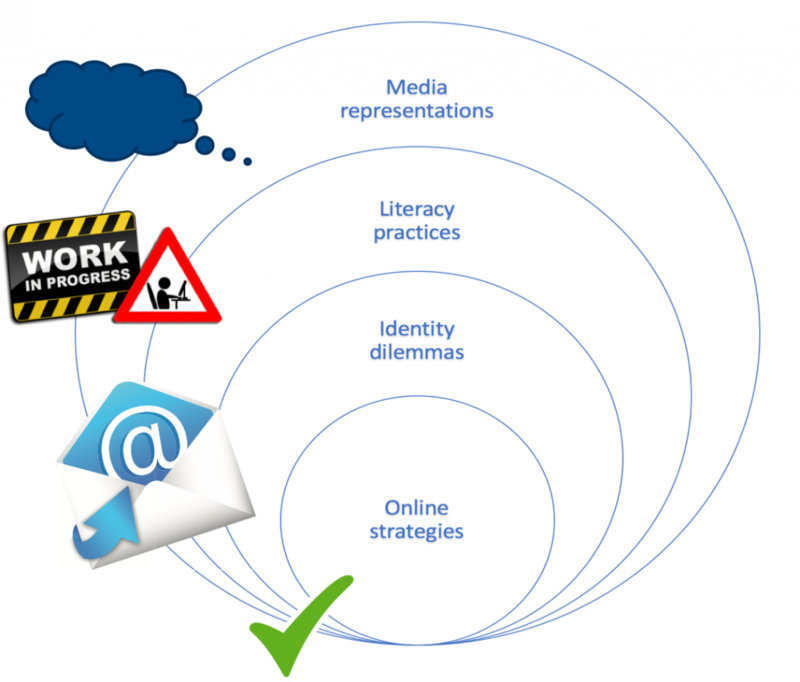 These four studies are at different levels, starting at the individual level (about stigma management strategies when communicating online), moving to the interactional level (about identity dilemmas) and the group level (about literacy practices), to end up at the societal level (about media representations). So my perspective gets wider and wider as I move forward through the studies. And where am I right now? Well, study 1 is published (you find the full text version here and a Swedish summary here!). Study 2 is submitted to a journal and I can’t wait to hear what the reviewers have to say about it. Study 3 is what my mind is most occupied with right now, since I just completed the data collection. I conducted ethnographic research at a ”folk high school” with an education for people with aphasia, staying there with them for three weeks. It was great! So, the next step for study 3 is to analyze all the data (video, audio, photos, notes…). And study 4 is still being planned in detail, before the data collection can begin. Hopefully, I can soon share some more results with you! What happens to a person’s language abilities when he or she gets a brain tumour (or more specifically a low-grade glioma)? And when the person undergoes surgery to remove the tumour – what happened to the language abilities then? 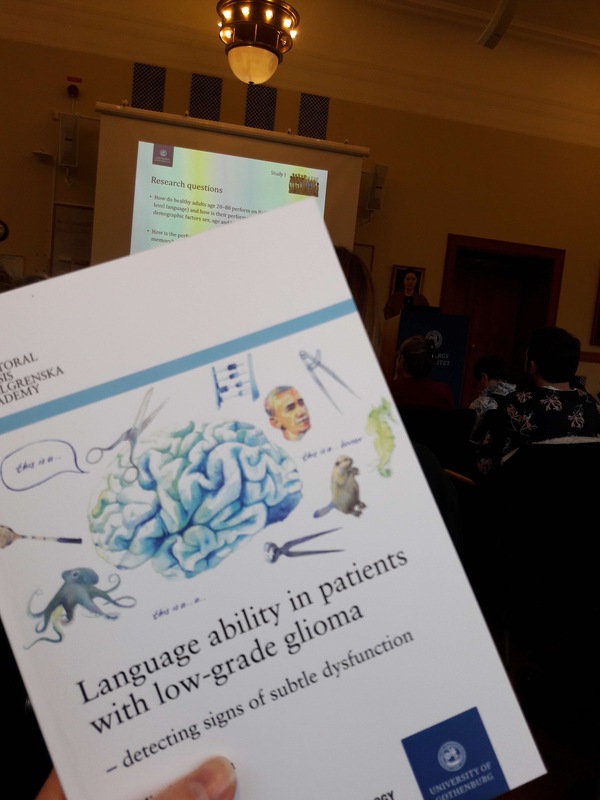 Those are the questions in the new PhD thesis ”Language abilities in patients with low-grade glioma – detecting signs of subtle dysfunction” which Malin Antonsson defended today in Gothenburg. Malin’s work shows that even if the language abilities are severely damaged just after the surgery, the patients recover significantly over the following three months. That’s hopeful! Twitter is the most amazing way to get in touch with interesting people! 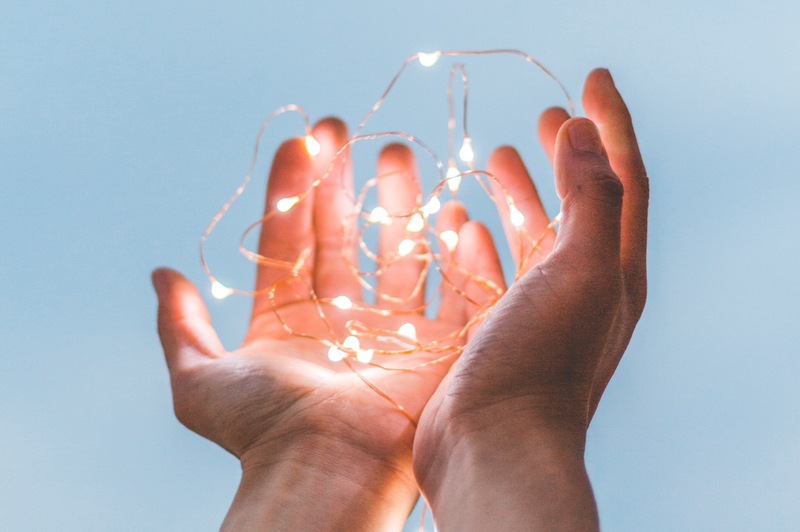 Not least have I noticed that many aphasia researchers are on Twitter – so I made a list of organisations and researchers tweeting about aphasia! The list is public for anyone to follow. At twitter.com/heltunik/lists/afasi you find the tweets posted by the listed accounts, and at twitter.com/heltunik/lists/afasi/members you find the members of the list. Please, let me know if you think I should add anyone else! Have you ever given any thought to the matter of how bodies are represented in the (traditional or digital) media? Feminine bodies or masculine? And what about bodies different from the contemporary norms of appearence and function? 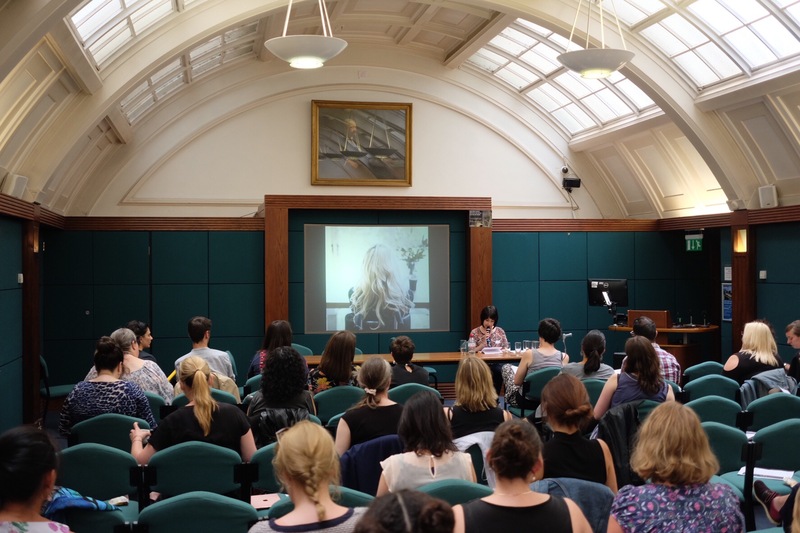 These issues were the topic of the Different Bodies conference at the University of Westminster in London, which I attended on Midsummer’s Eve. No less than 17 presenters contributed, raising questions about the ”superhuman” narrative of the Paralympics athletes, the reclaiming of agency, power and beauty by amputated women such as Viktoria Modesta (go ahead and google her! ), the violent masculine wrestler as a modern day Wound Man (yes, google him too! 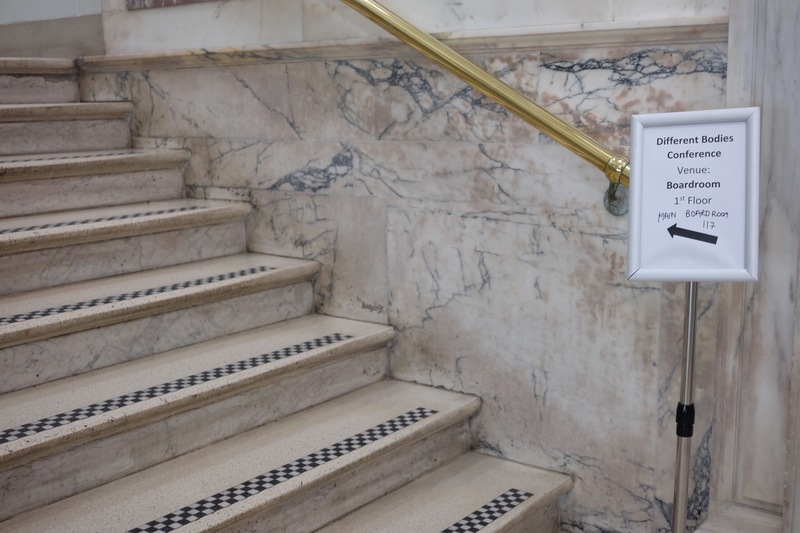 ), parallels between Nietzsche and the social model of disability, the selfie practices of girls with disabilities (note to self: I have to look into the concept of ”neoliberal inclusionism”) and much more. What a day! 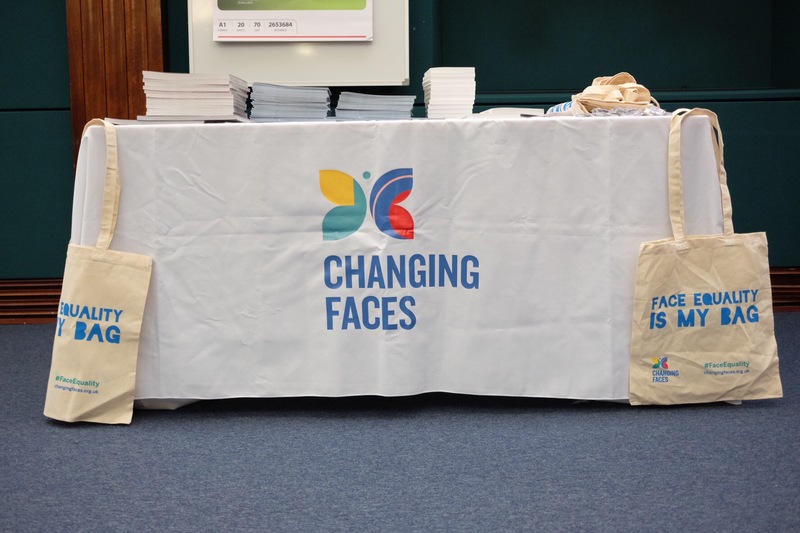 Last but not least, it was great listening to people from the Changing Faces foundation. They are campaigning for face equality and working against the stigmatising of people with facial disfigurement. What an important job they are doing! Their stories really highlights how extremely narrow normality is when it comes to appearence – not least in social media. I am glad I ended up spending this year’s Midsummer’s Eve in London! Thank you, all, for a great day! 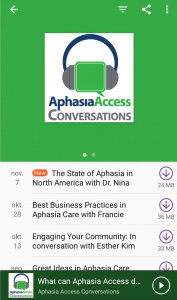 I found the final two lectures of the Nordic Aphasia Conference, given by Madeleine Crucie and Carole Pond, very inspiring. I listened to Madeleine in London this past December too, and it was a pleasure hearing her again. 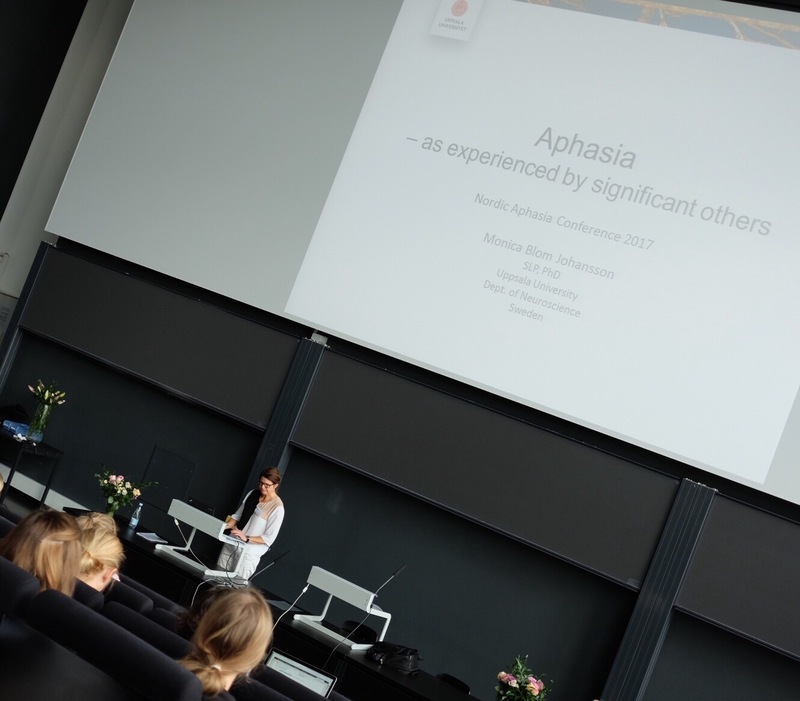 Her work on quality of life is essential, but today she instead talked about her recent work with the LUNA-approach to aphasia rehabilitation. It is all about meaningful personal narratives, which makes it truly interesting. Make sure to watch the videos on storieswithaphasia.moonfruit.com! 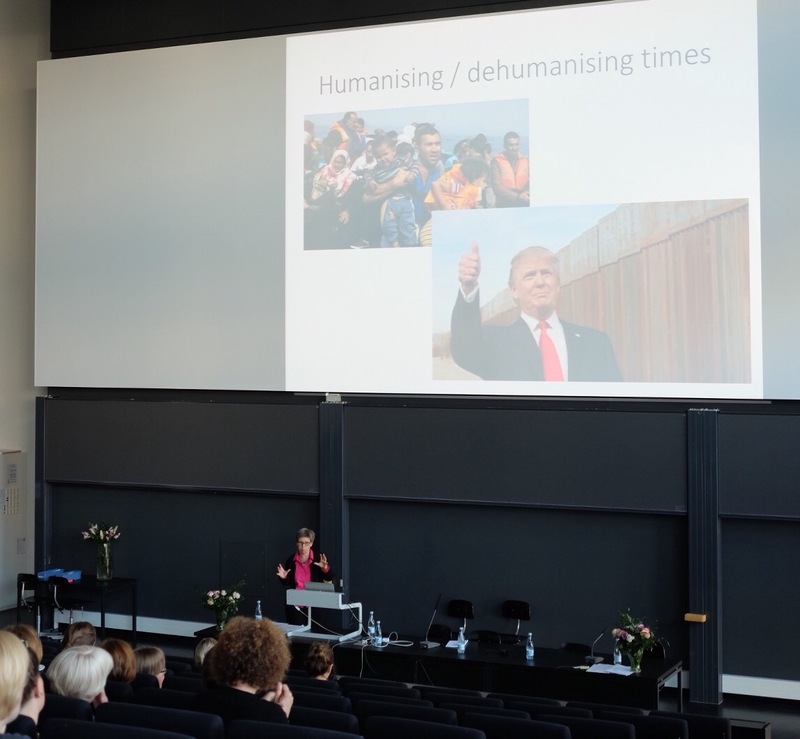 Next, Carole Pound made a extremely important point about us living in a dehumanising time, referring both to the refugee situation and to the present president of the United States. But what about health care in general and aphasia rehabilitation in particular? To end the conference, there was a panel discussion based on questions produced (and placed in Lise Randrup Jensen’s now famous Shoe Box) by the attendees during the past two days. And what a panel it was! Elisabeth Ahlsén, Melanie Kirmess, Madeleine Cruice, Aura Kagan, Simon Horton and Carole Pound. I think I wasn’t the only one who felt all star struck! It has been a pleasure meeting so many interesting researchers, clinicians and others during these days. Some of them were already my friends, some of them became new friends. Some of them I got a chance to talk to, others not. 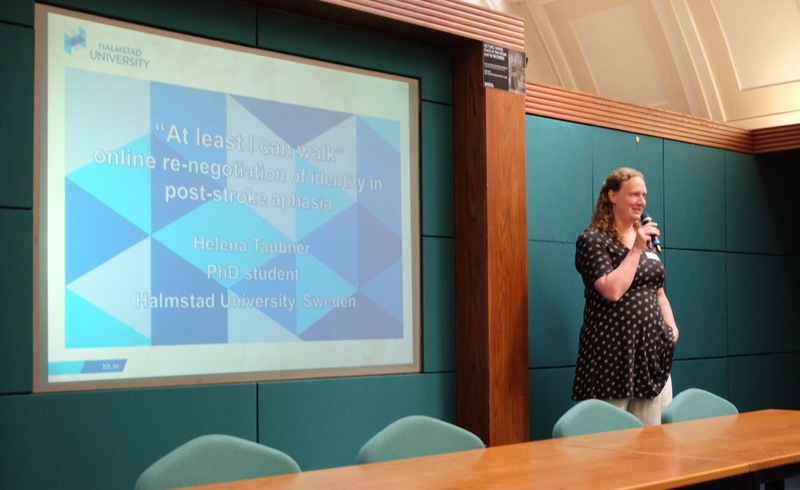 There is never enough time… But we’ll meet again at the next Nordic Aphasia Conference, in June 2019 in Turku, Finland! 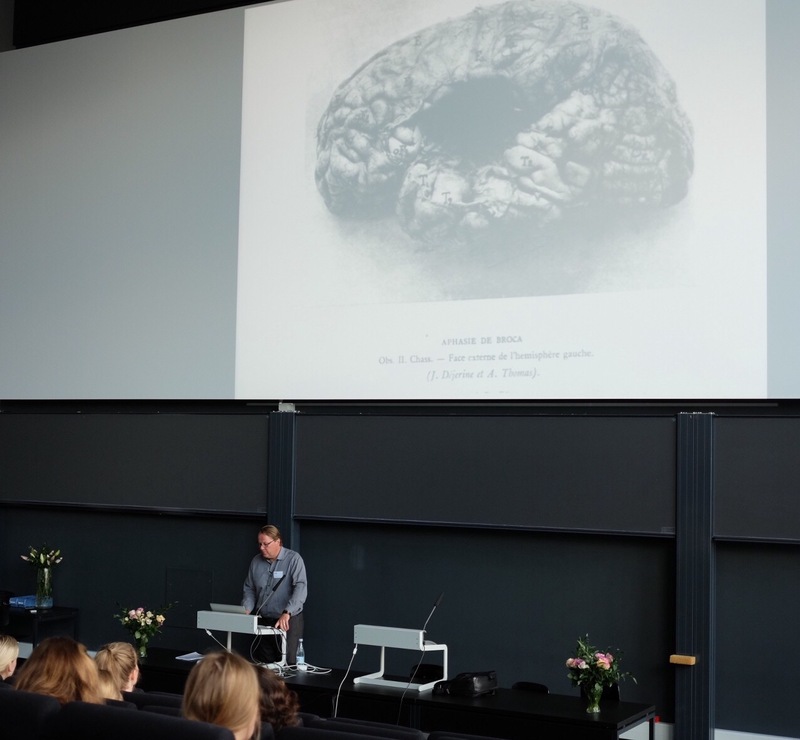 A parade of renowned researchers gave lectures today, during the second day of the Nordic Aphasia Conference. Julius Fridriksson (from the University of South Carolina) reminded us that every idea we can come up with probably allready has been tried out by someone else. For example, the idea of Speech Entrainment (where the person with aphasia articulates words at the same time as someone else, looking at their mouth) was studied in 1913. He showed us a photo of the brain from one of the participants in the 1913 study and it was really striking to see the damage. 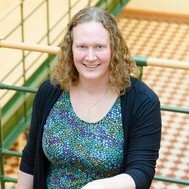 I also enjoyed Monica Blom Johansson’s talk about the impact of aphasia on the life of significant others. She pointed out that there is a correlation between family members’ knowledge about aphasia and the quality of the relationships. The more information the family members get about aphasia, the better the relations within the family. Now, there’s a pedagogical challenge! 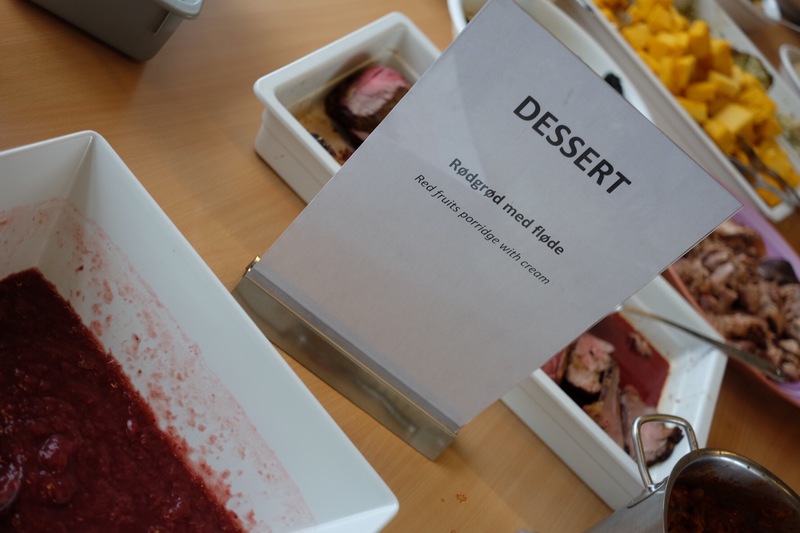 I was also very pleased to find the most tipically Danish dessert I know, at the lunch buffé: Rødgrød med fløde.